Since December 2014, there have been several confirmed outbreaks of HPAI H5 in the Pacific flyway (California, Utah, Nevada and Idaho). In March, new infected premises were also detected along the Central and Mississippi flyways (Minnesota, Missouri, Kansas and Arkansas). The strain that is circulating is a mix of the highly pathogenic Asian and low pathogenic North American strains and has been found in wild birds, as well as in a few backyard and commercial poultry flocks. The Centers for Disease Control and Prevention (CDC) considers the risk to people from the current strains of HPAI to be low. No human cases of these strains have been detected in the United State, Canada, or internationally. Fortunately, HDOA already has established strict bird import laws that require permits, inspections, health certificates, and in some cases, isolation periods prior to arrival and physical identification. There is also an embargo on importing birds through the mail. The HDOA veterinarians have been closely monitoring the outbreaks and have implemented pre-entry avian influenza test requirements on imported poultry and birds. In addition, import restrictions have been placed on all poultry, other birds, hatching eggs and day-old chicks from affected zones within states to prevent the importation of infected birds. 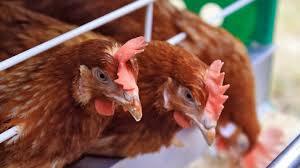 HDOA also conducts continuous surveillance on poultry within the state for avian influenza. In Canada and affected states in the U.S., the outbreaks have occurred in domestic turkey farms and some back yard poultry farms that have association with wild waterfowl. There have been no farm-to-farm transmissions and no human illnesses associated with this disease outbreak. The U.S. Department of Agriculture (USDA) and the departments of agriculture in the affected states have quickly quarantined, disposed of infected flocks and set up quarantine and surveillance zones to help insure the disease does not spread. Poultry and bird owners in Hawaii who notice high mortality in their poultry or birds should contact the HDOA, Division of Animal Industry at (808) 483-7106 to report their losses.